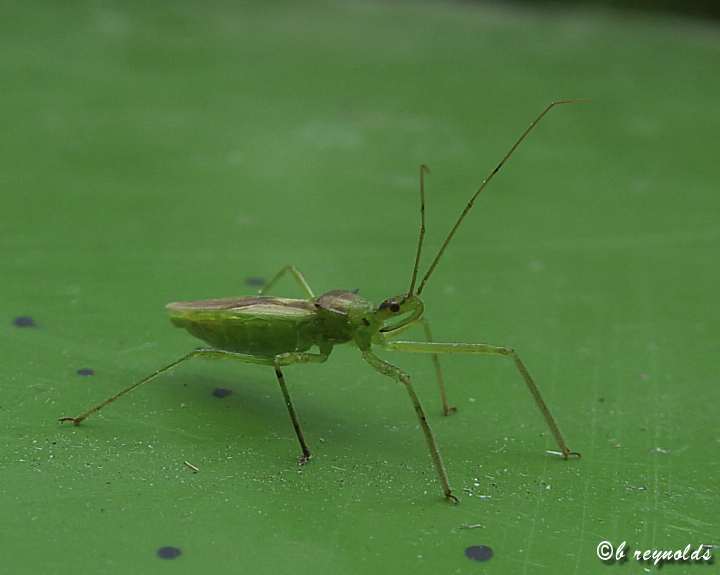 This entry was posted in Insects and tagged Pale green assassin bug, Zelus luridus on June 27, 2016 by John Valo. 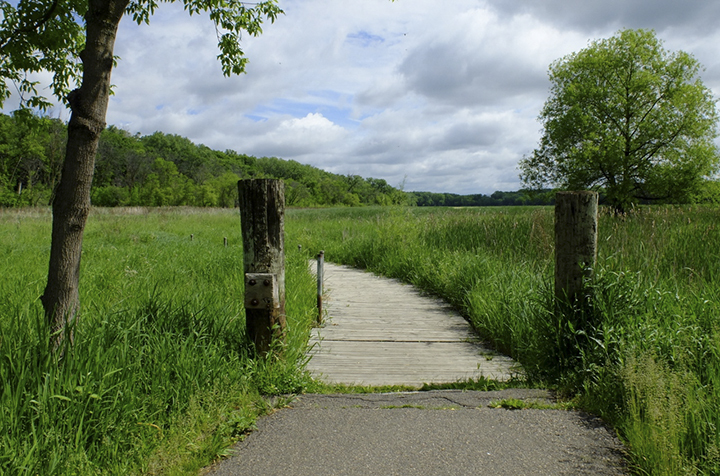 Carpenter St. Croix Valley Nature Center is a 725-acre private preserve spanning both sides of the St. Croix River. It is free and open to the public. The 425-acre Minnesota “Campus” is in Washington County just northeast of Hastings. The Visitor Center has a number of live animals on display, including a Bald Eagle and a Peregrine Falcon. A number of non-native trees and shrubs around the Visitor Center and parking area will challenge the identification skills of any visiting plant enthusiast. 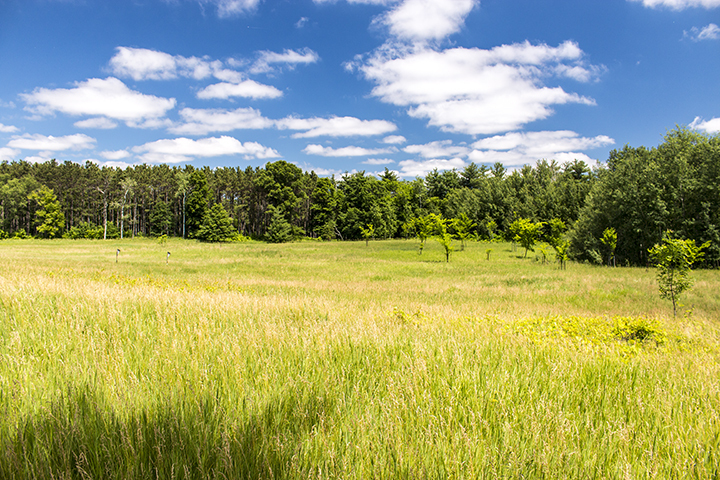 The Minnesota Campus includes areas of grassland, oak savanna, red pine plantation, deciduous forest, and wetland. It also includes three native plant communities. On the east side of St. Croix Trail (County Hwy. 21) there are 5.6 miles of trail, 3.5 miles of them paved, leading across river bluffs, into deep forested ravines, and through floodplain forest bordering the St. Croix River. On the west side of the road about 4 miles of mowed trail wind through a 150-acre restored prairie. This entry was posted in Nature Destinations and tagged Carpenter St. Croix Valley Nature Center on June 17, 2016 by John Valo. Kasota Prairie, not to be confused with nearby Kasota Prairie Scientific and Natural Area, is a 90-acre private preserve in Le Sueur County. It is owned and managed by Unimin Corporation in cooperation with Save the Kasota Prairie, a non-profit, tax-exempt organization. It is open to the public. Kasota Prairie contains virgin prairie, previously grazed and restored prairie, forested river bluffs, and shoreline of the Minnesota River. It includes three small pockets of one native plant community, Dry Sand – Gravel Prairie (Southern). Birders can see Eastern Meadowlark and Dickcissel on the prairie, Baltimore Oriole and Great Crested Flycatcher on the bluffs, Belted Kingfisher and Great Blue Heron on the river, and Red-tailed Hawk and Turkey Vulture soaring overhead. Hikers this week (6/5 to 6/11/2016) will find hoary puccoon, Canada Anemone, golden alexanders, and a few prairie violets in bloom. This entry was posted in Nature Destinations and tagged Kasota Prairie on June 5, 2016 by John Valo. At 583 acres Crosby Farm Regional Park is the largest park in the City of St. Paul park system. It sits north of the confluence of the Mississippi and Minnesota Rivers. It is near the northern end of a 22 mile continuous track of protected river corridor stretching from Cherokee Regional Park in St. Paul to Valleyfair in Shakopee. 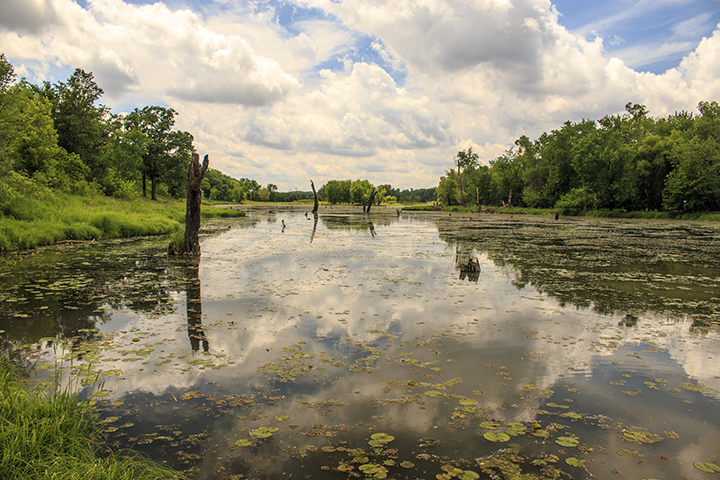 Crosby Farm Regional Park provides 6.7 miles of hiking trails through river bottomland. It contains oak forested bluffs, floodplain forest, various wetlands, and two lakes. Four native plant communities are found within its borders. It is frequently flooded in the spring. This entry was posted in Nature Destinations and tagged Crosby Farm Regional Park on June 1, 2016 by John Valo.